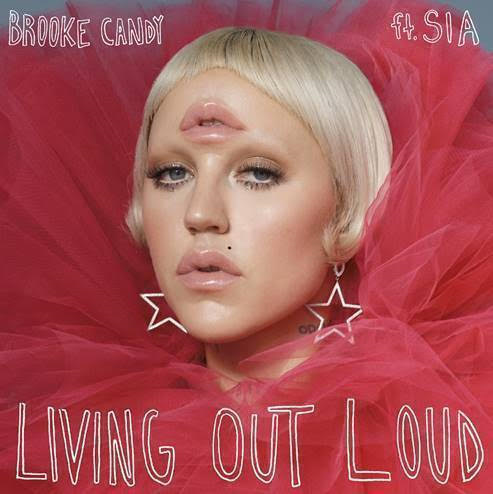 Emerging U.K. singer Brooke Candy releases 'Living Out Loud' featuring seven time Grammy nominee Sia this past Friday at all digital providers (click here to listen). The track was produced by Jesse Shatkin (Sia’s Chandelier, Kelly Clarkson) and written by Geoffrey Early (Ziggy Marley, Beyoncé, David Guetta), Priscilla “Priscilla Renea” Hamilton (Rihanna, Fifth Harmony), Sia and Greg Kurstin (Adele, P!nk, Beck). 'Living Out Loud' is the first official single from Brooke’s upcoming debut album "Daddy Issues" which is set for release in Spring 2017.